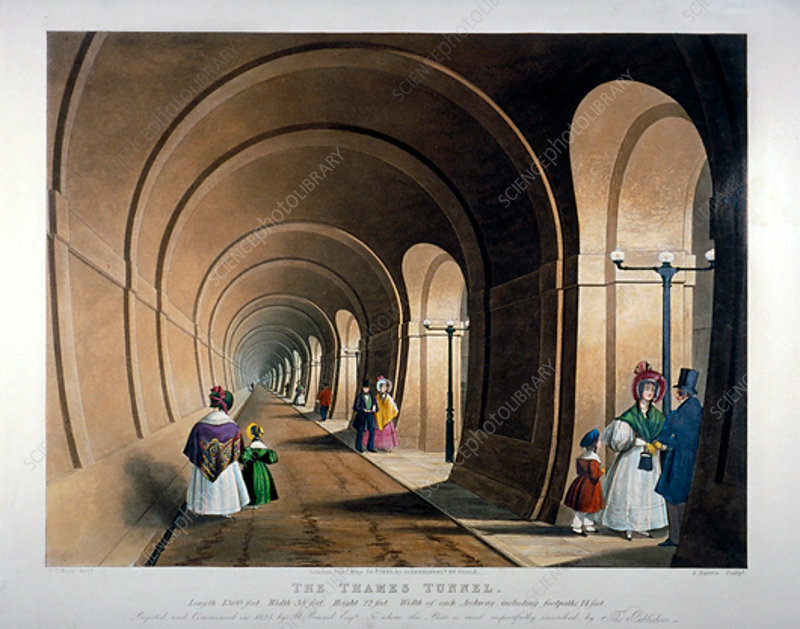 Thames Tunnel, London, 1835. The Thames Tunnel, connecting Wapping and Rotherhithe, was the first underwater tunnel in the world. Completed as a foot tunnel in 1843, it was converted to a railway tunnel for the East London Railway in the 1860s. Sir Marc Isambard Brunel designed the tunnel, and his son, Isambard Kingdom Brunel, was site engineer.